Closed on Saturday, Sunday, Public Holidays and Algerian Public Holidays. 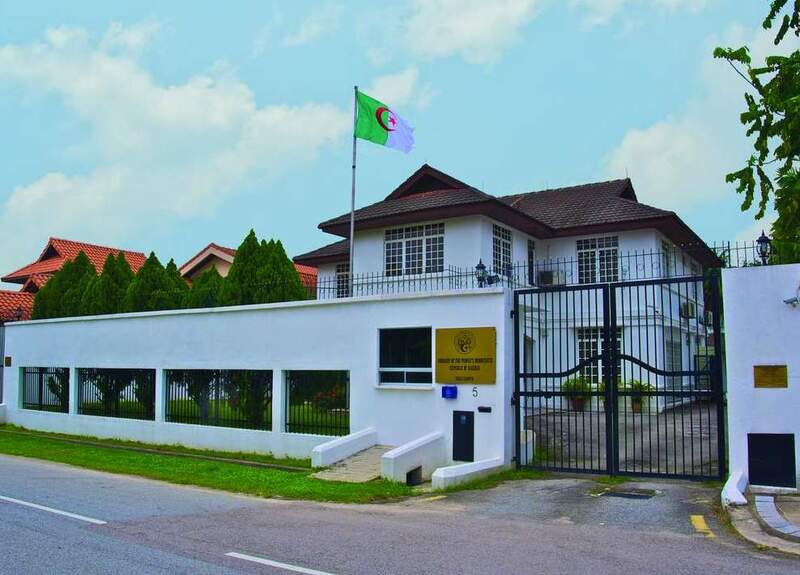 The Embassy is situated about 300 metres from the main road at Jalan Ampang, via Lorong Damai 13 - off Jalan Mesra. It is a 10-minute walk from Dato' Keramat LRT Station. the bridge over the river behind the LRTStation.